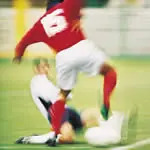 Few team sports are as physically demanding as soccer. 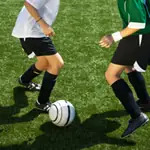 Make sure you're in top shape for the big match with this conditioning workout guide for soccer players. 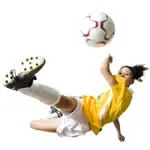 Learn the latest soccer training drills and exercises to blow past the competition. Speed is the great equalizer. Even a poorly-skilled player with superb pace can be a dangerous, disruptive force on the field. So how do you get faster? These four ab exercises will build stomach muscles, give you a strong center of gravity and allow you to dodge defenders with more control. If you improve your agility you'll improve your performance. Be prepared for sprinting, side stepping and carioca footwork. 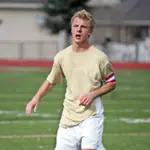 How can you tell if your players are in good enough shape for soccer? Here are three endurance tests that have proven popular at the highest levels. Taking some time off? Don't let the fitness level you worked hard for go away during the downtime. 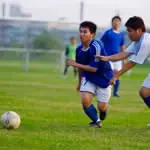 Here are some tips to staying in shape until soccer starts up again. As athletes get better, soccer is becoming a faster and faster game. But can players develop the speed to catch up, or are they just born with (or without) it? When a player reacts to a change with the ball, it's all done by reaction in fractions of a second. Here is how players get better at this. 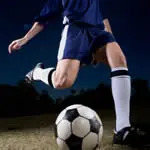 Watch any game and you will see players who are fast and others who can navigate congestion in the penalty area with ease. Here are 11 tips for getting better at both. With the non-stop pace of soccer, getting a good workout is inevitable over the course of a game. But just how much distance can you cover in 90 minutes? There are a number of questions regarding activities and suggestions on the concept of speed, lateral speed and agility for soccer players. Here are 10 common concerns, and some helpful tips to keep in mind as you start your speed training.